'Tis the season for LOVE. And we're not just talking about Valentine's Day, which can, quite frankly, seem a little surface level and commercial. We're diving deeper and talking about deep self love and respect, the kind that is so powerful it can't help but spill out into the world around us, enriching and elevating the lives of those we interact with. Taking better care of ourselves, and prioritizing self care, better nutrition, and a healthier lifestyle may be trending something fierce right now, however, unlike many trends, this one isn't poised to fade away anytime soon. From a collective standpoint we're seeing the value in health, in loving ourselves and honoring our needs - whether it's physically, spiritually, mentally or emotionally. As they say, you can't pour from an empty cup. When we take care of ourselves, everyone benefits. While it's true that aphrodisiacs are mainly used to help boost libido, that's really just the beginning. Certain aphrodisiac superfoods and herbs help strengthen our overall vitality and longevity nourish and help bring balance to our endocrine system (hormones), boost our mood through compounds that interact with our own brain chemistry, and increase overall life energy, or Qi (Chi) as it's known in Chinese Medicine. After-all, our sexual health is related to our health in general – the two are intimately intertwined. Show yourself some LOVE with these 9 superfoods that may be known aphrodisiacs, yes, but offer so much more. Raw cacao, may be the ultimate love food. The base ingredient of all dark chocolate, cacao is actually the seed of a colorful pod-like fruit native to the Americas. Cacao contains compounds that boost circulation and “happy brain” neurotransmitters like serotonin and dopamine to bring about feelings of euphoria, bliss, and love. Anandamide, aka the “bliss molecule”, is an endocannabinoid produced by our own brain that's also found in cacao. Once in the body, it binds to the same brain receptor sites as THC, resulting in feelings of bliss and even euphoria. Phenethylamine (PEA), aka the “love drug”, is an amino acid that gives us a boost of feel-good endorphins, and stimulates serotonin and dopamine production, mimicking what happens to our brain chemistry naturally when we fall in love. Last but not least, a stimulant known as theobromine gives us a subtle boost of energy, relaxes blood vessels, lowers blood pressure and improves circulation. It has also been shown to act as an appetite suppressant, meaning it can be a valuable ally in weight management efforts. 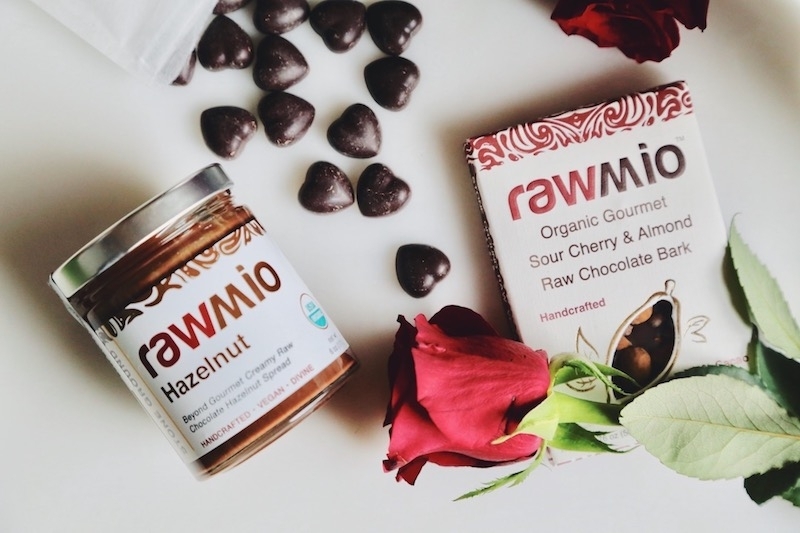 Get the ultimate mood boosting benefits by choosing raw chocolate which has been processed at low temperatures to retail beneficial compounds and antioxidants. Maca is a nutrient-rich root vegetable in the mustard family native to the Peruvian Central Andes – prized by native civilizations in this region as a valuable source of both nutrition and medicine. Unlike substances with caffeine, maca increases energy and stamina without being an actual stimulant – making it more holistic, sustainable, and certainly more gentle on the adrenals. It is a known adaptogen, helping the body better cope with stress, and supporting the glandular system. Maca is also known for boosting fertility and for helping bring hormones into balance. Looking to boost circulation in all the right ways? While cayenne pepper may be a culinary staple in many different cuisines – adding both heat and flavor - it also has a more functional effect on the body by increasing blood flow to our internal (and external) organs. Cayenne contains a little something called capsaicin, which has the power to increase our heart rate, stimulate the metabolism, help facilitate detoxification, and even promote the production of feel-good endorphins. If you've ever felt slightly “high” after eating ultra spicy food, this would be the reason why. Ginseng may very well be one of the most well known herbal aphrodisiacs, especially for men. It is also a powerful adaptogen, meaning it has a much more holistic, broad reaching effect on the body – supporting all systems, and helping us to better manage stress. It has been shown to help support a healthy immune system, better cognitive function (brain health), and possesses anti-inflammatory properties. Ginseng is also an immune system booster, and may even help lower stress hormones in the body. Damiana is a small shrub-like herb with yellow flowers native to Mexico, Texas, and Central and South America. While it has many different uses and benefits, it is perhaps most well known for its aphrodisiac (botanical name is Turnera aphrodisiaca) and relaxing effects on the body. Damiana is especially helpful for women to help strengthen the reproductive organs, help relieve symptoms of PMS or menopause, and bring the hormones into balance. Aside from helping revv up the libido, damiana has also been used in traditional herbal medicine for its antidepressant qualities, as an antiseptic, to help strengthen the lungs, and also as a diuretic. Damiana has also been shown to have a positive effect on healthy appetite signals – making it a beneficial dietary herb for weight management. Figs arequite paradoxical. A little sexual in nature (a ripe, juicy fruit full of seeds..need we say more?) while also being a biblical symbol of modesty (the fig leaf in the Garden of Eden). But it doesn't end there. Figs are rich with minerals which help build healthy blood and bones such as calcium, magnesium, manganese, copper, and potassium, and they are rich with certain amino acids which boost both sexual stamina and libido. As humans, our sexuality can be influenced by a number of different factors, and the power of smell simply cannot be denied. The aroma of fresh vanilla bean is warm, sweet, and sensual – there is no wonder why it has been used for ages to help set the mood and excite the senses. Vanilla also has the vibration of something highly prized and rare. As the fruit of a climbing orchid vine, the pollination and harvesting process is very labor intensive, making it 2nd only to saffron in terms of the world's most expensive “spice”. Humans have had a long history with the fungi kingdom. Certain mushrooms have been used for their medicinal properties for thousands of years and in many different cultures. Mushrooms such as shiitake, maitake, reishi, lion's mane, chaga, coriolus, and cordyceps, have well documented health benefits associated with enhancing the immune system, boosting blood flow, fighting infection, reducing inflammation, lowering blood sugar and cholesterol levels, and building life force energy for increased longevity. Another potent adaptogenic food, medicinal mushrooms can be used daily as a way to boost our overall health and vitality.